Why do I love design? 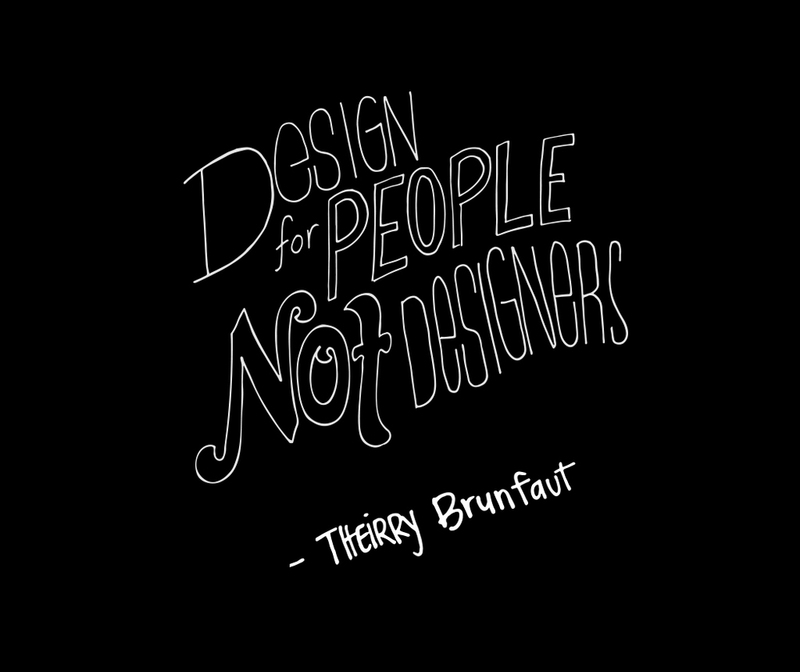 I've always loved the quote "Design for people not designers." To me, this means that we should be taking our skills and gifts, and designing with usability in mind, and not just for what is trendy and cool to win awards and recognition. The most successful designs and projects to me, are those that anyone, not just designers, can comprehend and appreciate how they look and feel. Of course we are going to make it look awesome, but one of the biggest challenges of design is making sure people understand what they are seeing while also looking really really amazing. When you win recognition for that, then you are a successful designer.